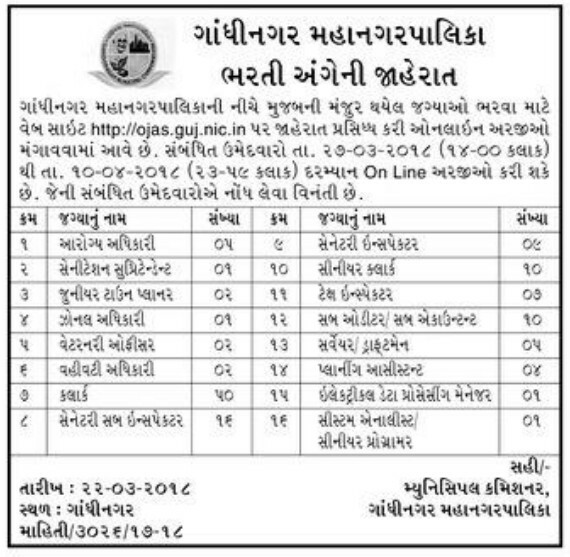 Gandhinagar Municipal Corporation published a job notification on its official website ojas.gujarat.gov.in. Therefore, based on the notification, I have provided detailed information GMC Recruitment 2018. As a result, in this article, interested candidates can go through the details about GMC Notification Eligibility Criteria, Selection Procedure, GMC Clerk Pay Scale, and other information. In addition to this, eligible candidates can fill GMC Application Form through Online Mode using any channels.